When a poet dies, his publishers often hurry into print whatever scraps lie stuffed in his desk drawers or overflow his wastebasket. This is the book business at its darkest and most human, but many balance sheets have been balanced by a posthumous work or two. Death is the moment when all eyes are upon the poet for the last time; beyond, for most harmless drudges, lies the abyss. 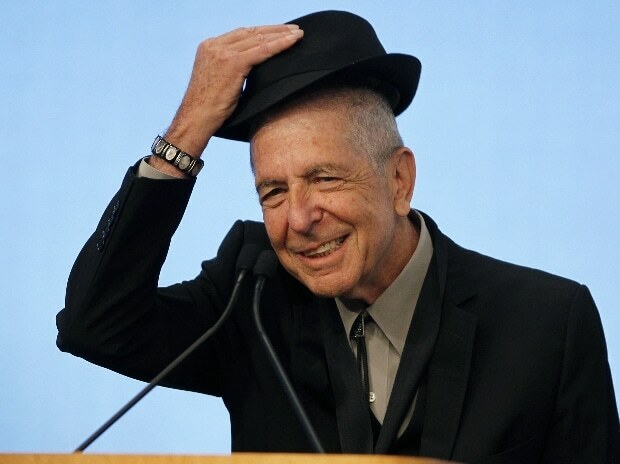 Leonard Cohen, who died two years ago, wore many a fedora — poet, novelist, songwriter, a singer of sorts — but only the last trade, which he took up reluctantly, made him a star. Cohen was never taken very seriously as a poet. He wasn’t much of a singer, either; but the gravelly renderings of his lyrics gradually attracted a mass audience that seemed more like a cult. Many found him a bit much, his heart-on-his-sleeve misery no more appealing than plunging your hands into boiling tar. Still, songs like “Suzanne”, “Bird on the Wire” and the rather preposterous hymn of praise “Hallelujah” have been so widely covered as to be nearly inescapable. At any moment of the day, “Suzanne” is probably playing in an elevator somewhere. 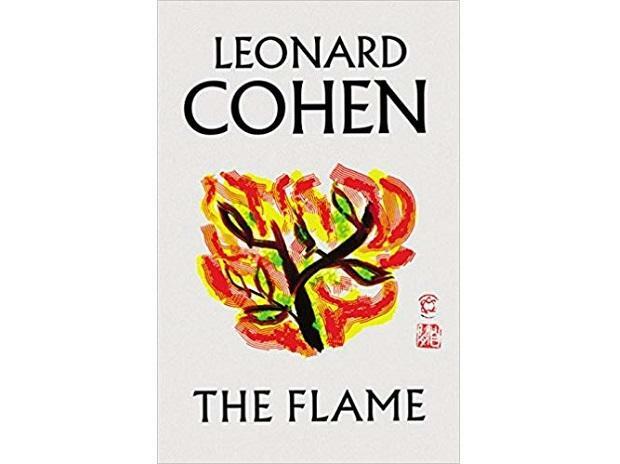 The Flame has a little of everything for Cohen fans and nothing for anyone else. The publicity matter claims the stray work has been “carefully selected”; but if this is the best of his barrel scrapings, there’s not much barrel to scrape. With a plan laid down by the singer himself, the editors have included his own choice of some 60 poems, the lyrics from his last four albums and a long dreary selection of notebook jottings. The pages have been decorated with 70 or so rumpled self-portraits, with a dozen amateurish doodles of young women thrown in. That perhaps represents the internal proportions of Cohen’s famous vanity and his equally famous lechery — I mean, of course, his search for a muse variously named Marianne, Sahara, Vanessa, Charmaine, Anjani, Mara, Sheila, Heather, Carolina and Olivia. The long miseries and brief graces of love are Cohen’s obsessive subject. Some famous love poems by Bernart de Ventadorn and Dante sound almost as bad when translated, but Cohen doesn’t have that excuse. The poems might seem that much better in Provençal or Tuscan. Cohen was not a poet who accidentally became a lyricist; he was a lyricist who for years fooled himself into thinking he was a poet. As poems these squibs are worthless; as lyrics, even sung in that lizardy groan, they often moved millions. His voice, that broken, battered thing, could make almost any song — even “God Save the Queen,” perhaps — sound lonesome, miserable, profound. The final section consists of disordered entries from the hundreds of notebooks Cohen picked up and pitched down over the years (one was discovered in his refrigerator freezer). Fans who have pined for wisdom like “I think, therefore I am / right up there with / Mary had a Little Lamb” or “I was thinking / of a room in Westminster / room / with a woman from Hell / who thought she was hot” may at last be gratified. In the notebooks, the singer writes, “Whatever happened to my place / in the Anthology of English Literature?” The better question is, Why should he be there in the first place? It’s hard to understand the cult of Leonard Cohen, the thousands who flocked to concert after concert, leaving with a feeling of illumination or exaltation, the sort of things for which people usually receive get-well cards. There are artists we don’t understand whom we are happy for others to love, and artists who attract an adoration that seems such a colossal mistake we can only shake our heads in bewilderment. Those who love Cohen may find in this gallimaufry the answer to their prayers. For everyone else, the only proper reaction is to shutter the windows and wait for the fever to pass.